Naruto 680 Spoilers: The last chapter end with Black zetsu betrayal. !! so what happens next..? find out story on Naruto 680 ナルトネタバレ 第680話 Spoilers at Mangaspoiler.com. if you would like to discuss the Spoilers or predictions, please leave a comment below. Naruto 680 Spoilers is not available yet. We will update this post as soon as the spoiler is out. Naruto 680 Trivia: It appears that there may be connections between Kaguya and the Moon Goddess in Mayan mythology. According to the Mayans, the Moon Goddess is actually the grandmother of the Sun, whom is constantly harassed by his elder brother. Upon her death, she bestows her power upon the elder brother, making him the Moon God. This is a strong parallel made to the brothers Indra and Asura, as the former is the wielder of the moon symbol whereas Asura is represented by the sun symbol, which was proven upon Naruto Uzumaki and Sasuke Uchiha being given chakra by Hagoromo Ōtsutsuki. NO NO NO!!! THIS THING WITH MINERVA IS HAPPENING TOO SOON!!! THIS IS TOO MUCH FOR ME TO HANDLE!! Fairy Tail is alright though, just wished what happened with Minerva was put on hold for a little longer. When Itachi said that about Jiraiya, the former was sick. Additionally, the former was lying. He was on Leaf’s side, so it wouldn’t make sense for him to fight Jiraiya. However, he wouldn’t be able to tell Kisame that. So, it’s possible he just said that to give Kisame a reason as to why they were running away. I disagree about Tobirama, but there aren’t really any relative comparisons to make here. 1. I can’t answer yes or no to a question that involves information I don’t recall off the top of my head. You answered for me- and that’s fine (if it’s actually true). Assuming you are right- there’s really no need for me to look it up since it doesn’t hinder my argument here at all- you’re making a point that really doesn’t have much to do with the point I made here. My point here is that Yamato still has superior restraining jutsu to many who are weaker than him- and unlike many of them, he can restrain Jinchurikis going out of control. Therefore, by the logic of one having restraining jutsu means they are superior to all of those who don’t have restraining jutsu, that would make Yamato stronger than almost every character in the series. However, we know that Yamato is not one of the strongest characters in the series, which nullifies the idea that Hashirama having restraining jutsu while Minato does not makes Hashirama more powerful than Minato. 2. How do you know exactly how fast he moved at that specific moment? Minato easily outpaced him, which indicates his movement speed wasn’t that close to Minato’s. Why wouldn’t Minato have stood a chance? You’re assuming that Obito was holding back against Minato- something that wasn’t stated or implied. 3. This also responds to points C and D of your response. I’ve already explained why he didn’t fight Kurama head to head. It was stated that Bijuus are reborn if “killed”. Minato could have killed Kurama, and then the latter could have been reborn on the other side of the planet, and therefore killed many innocent people while Minato can do nothing about it because he’s so far away at the time. He would had to have eventually sealed Kurama either way- so regardless, he would have had to sacrifice himself. 4. ??? What do you mean by Jinchuriki in Bijuu Mode > human mode? Also, where did I say this exactly? 5. The only way I could have implied that Minato is weak due to not having much Chakra is if I said that Minato used up a ton of Chakra doing those things. I didn’t say he used up a ton. Just some. 6. That’s circumstantial. You’re only assuming Minato would look at Itachi’s eyes, and assuming that the former is incapable of fighting without looking into the eyes of his opponent(s). I already explained the difference in Hurting a Jinchuriki and a Jinchuriki in tailed beast form…why would u want Billy to explain again…!!! Itachi was an antagonist the vast majority of the series. In fact, we didn’t even find out he was actually a good person until after he had already died. So, I don’t think it’s really fair to count him. Neji could hardly be called important. He’s barely been relevant outside of the Chunin Exams Arc. Ultear died. I suppose she was an antagonist for most of the series up to that point, but she had been a protagonist since the end of Tenrou Island, and was such for 7 whole years. So, while Itachi died as an antagonist, she died as a protagonist that had been such for 7+ years. I get what you mean about us not being able to count deaths until they actually happen. However, you made it sound like Naruto is exceptional in it’s handling of protagonist deaths simply because there have been more that have taken place so far. However, that’s kind of an unfair conclusion from such a comparison, when you factor in that Naruto is almost over- whereas One Piece is still only in it’s first major Arc in the New World and Fairy Tail still has at least another major Arc or two after the current one. I do wish One Piece would kill off a few more than it does, but I think it does very well in it’s handling of them overall. I like that Oda doesn’t kill off characters just for the sake of killing them (which was basically what Neji’s death was). It gives more meaning and impact when characters actually do die. One Piece and Naruto handle deaths better than Fairy Tail and Bleach, but I wouldn’t say Naruto handles deaths notably better than One Piece. At any rate, it seems you just meant to point all this out, and weren’t trying to say one series handles deaths better than another. My bad for misunderstanding. beaten it up to death and later seal it. Why didn’t he do that? how many groundless thoughts you have here. Fufufufu. remotely close to those two. close his eyes and fight. Fufufufu. Yep, my Boy stands third in the list with base powers. Well, with all due respect, that’s because a lot of what you’re saying is what you already said before- but without addressing my counter arguments to the points you are repeating. Thus, I’m left with nothing other than to reiterate my counter argument. In fact, this post here you literally copied and pasted from your previous post. However, I already addressed all these points. So, unless you want me to just reiterate all the points I made, there’s nothing I can really add. You are really stupid dude. You think someone should waste chakra fighting a tailed beast and then seal it?? Minato’s aim was to seal the kyuubi to stop it’s rampage and he did so. Obito rampaging like he did against those mist anbu, would win against Minato ?? Minato would have killed him way more easier. When Obito used mokuton he was solid Minato can easily dodge such attacks considering he’s dodge faster attacks, and counter with his rasengan. Obito can’t even touch Minato. Obito using izanagi against Minato would be suicide. Unlike konan who was out of breath after her ultimate technique, Minato didn’t break a sweat defeating obito, so he could continue to fight. And surprise attack from behind Minato won’t work considering how Minato was able to evade from Obito’s attack from behind on the hokage head. Minato has to look at Itachi’s eyes, lets assume so, but itachi also has to activate his MS, and once itachi does so, he’d be dead. One blink from Itachi and he says goodbye to his life. Minato can also use a clone to analyse Itachi’s techniques and might even kill Itachi with a clone itself. Sage mode will allow. Sage mode will allow minato to fight without using his eyes, just like how madara fought without his eyes and how naruto was able to evade limbo. Naruto no_1 fan you think wasting chakra is stupid?! But wasting life is not?! I’ve been wondering. How exactly does FTG work? I mean what is it? Is it really a space time jutsu? Or is it just a super fast far reaching body flicker? If kakashi were in obitos personal dimension with the FTG kunai could minato jump to it? Not to interrupt the riveting conversation billy and leptor but I just have say one thing. Minato no doubt grew up with a ton of uchihas, he problem had to fight/ spar against a few uchihas in his day so I doubt he’ll get caught looking into itachis eyes. His problem would more likely be the fact that itachi doesn’t need you to look him in the eye to genjutsu you( he can use other objects like he did against naruto ,the ring). it seems his ftg does not work from one dimension to another since he struggled to escape from obito’s kamui. otherwise, he would not worry about kamui. A shinobi of Minato’s calibre should not worry about low level genjutsus. The genjutsu Itachi used against Naruto was just a jounin lvl genjutsu, like kakashi or kurenai genjutsu. There are several ways to dispel such genjutsu. It’s tsukyomi that is hard to escape from, but first Minato has to be trapped. So you don’t think that itachi could use the same principal with a stronger tech? I think so. Where did itv say that he worried about kamui? 1. We were comparing Jubito to Kurama, but I don’t see how Juubi is stronger than Jubito. Jubito is Juubi fused with a top tier character. 2. It does, because they power their techniques with their Chakra. If their Chakra is increased, so is the power of their techniques. 3. Are we talking about Obito? What chapter and page are you referring to? 4. The amount of power/health they were at is very relevant, though. Someone might seem like a fly when they’re weakened, compared to when they’re at full power/health. Minato can´t use senjutsu in battle? If i recall correctly, he is not skilled, period. Which means, he can use it but not in an effective mode. 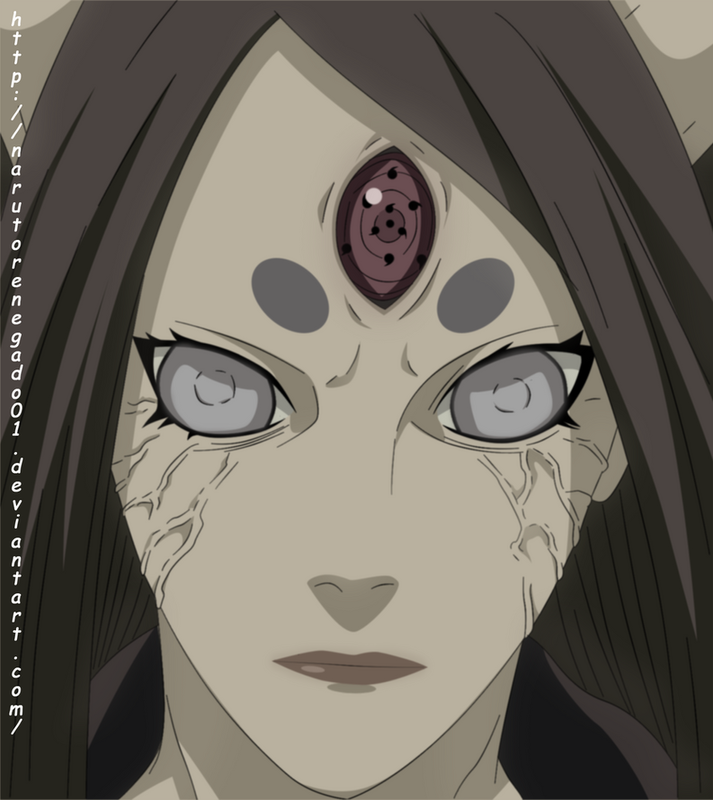 Also, Minato was able to dominate and use Kyuubi´s power without Kushina´s help or even any other training. Also, you talk about Itachi´s genjutsu. Itachi can cast an illusion without you even seeing him do any seals. Minato could be trapped or not. Both are clever and skilled shinobis. It´s almost impossible to say which one is greater. Jubito is stronger then Kurama in every way. Juubito has all bijuus power. So, he has Kurama´s power combined with other powerfull creatures and with Obito´s body in it which had Hashirama cells, another powerfull shinobi. If it´s just an example then someone said, lol.. Of course, a Jinchurriki in tail beast mode is much more powerfull. The jinchuuriki is using “his” bijuu power. I am not falling for any words. I have my own opinion.. I will have the last comment on this section. lol, why not delete that other big post. I don’t think the author of this manga understands the importance of eyes in art. They’re there to show expressiveness and more or less the soul of a being, be they animal, human or otherwise. All this Bagukyan, Sharingan, Rinnegan, Mangekyo-sharinrennegan (don’t forget Sage mode) crap just gives all these characters permanent dehumanizing characteristics.